Eileen Schwartz, a senior psychologist with over 25 years experience working with adults, couples, children and families, practices psychology in Jamaica Plain and Brookline Massachusetts. She employs an integrated approach to psychotherapy including cognitive behavioral therapy, family systems work, stress management, neurofeedback and energy psychology. 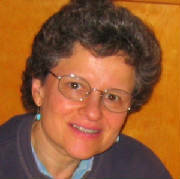 Eileen Schwartz, Ph.D. Eileen Schwartz, Ph.D.